Nedzad Avdic is to be given an honorary Doctorate for his outstanding commitment to Human Rights. 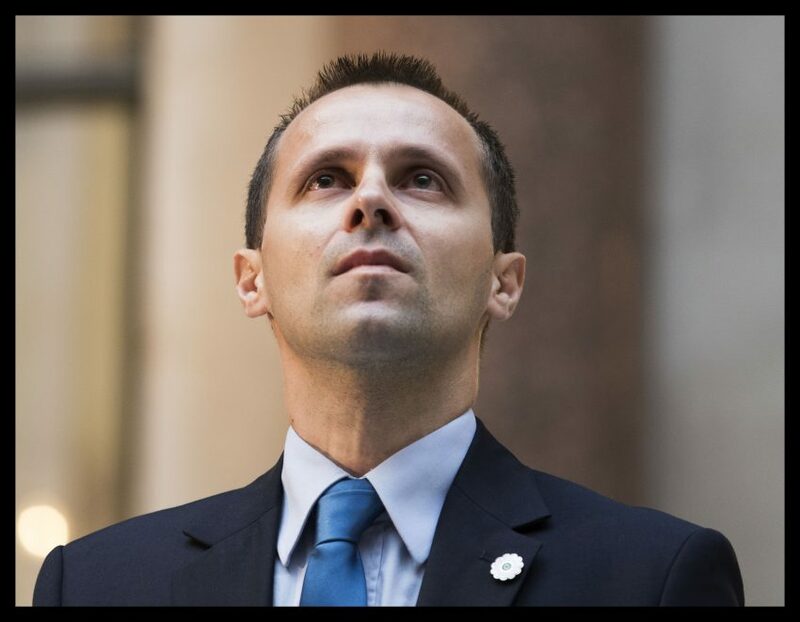 A survivor of the Srebrenica genocide is to receive an Honorary Doctorate from the University of Bedfordshire for his outstanding commitment to Human Rights. Remembering Srebrenica Ambassador, Bosnian Muslim Nedžad Avdić, incredibly escaped death at the hands of Bosnian Serb forces in July 1995 and has devoted his life to speaking out on the need to tackle hatred and bring communities together to prevent similar atrocities from happening to others. Nedžad and his family had to flee their home after it was attacked and undertook a perilous journey to the “safe area” of Srebrenica. However, when Srebrenica fell and the town was besieged by the Bosnian Serb army, he fled again, aged 17, with his father and uncle. They were captured with thousands of others and taken to an execution site, yet Nedžad and just one other man escaped, after he was shot in the stomach, arm and left foot, but the bullet missed his vital organs. After lying among the dead bodies, they waited for a chance to escape through the woods to safety. Today, he is back living in Srebrenica with his wife and three daughters. UK charity Remembering Srebrenica took staff and students from the University of Bedfordshire to Bosnia-Herzegovina on their ‘Lessons from Srebrenica’ educational visit programme where they met Nedžad and other survivors of the genocide. Following this, they also arranged for Mr Avdić to travel to Bedfordshire to speak to hundreds of students about his experiences last year. Bill Rammell, Vice Chancellor of the University of Bedfordshire, said: “It is our honour to confer this Honorary Doctor of Philosophy on Nedžad for his outstanding contribution to human rights. It is also a privilege that Nedžad will be delivering a lecture during his visit to the University. Following the graduation ceremony on Monday 24 April, Nedžad will travel to Gloucestershire to recount his experiences to school, college and university students there, along with Remembering Srebrenica’s Resad Trbonja, who lived through the siege of Sarajevo and now works tirelessly leading visits to help others learn from the Srebrenica genocide. Remembering Srebrenica works to honour and remember the victims and survivors of the genocide and learn lessons from the worst atrocity on European soil since World War Two to show where hatred and discrimination can lead. 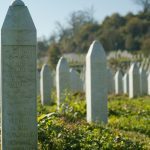 It organises the UK Srebrenica Memorial Day on the internationally recognised day of remembrance for the victims of the genocide on 11 July and works with Community Champions across the country to put on over 400 other events. They also organise educational activities, such as the ‘Lessons from Srebrenica’ programme and providing free resources for teachers to download from their website.